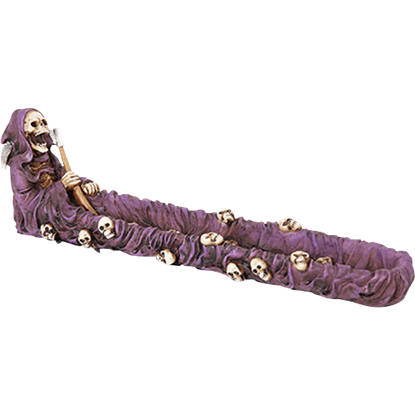 Be silent as the grave when you use this incense burner, and you may actually feel as though you are beneath the earth with the remains of the dead. 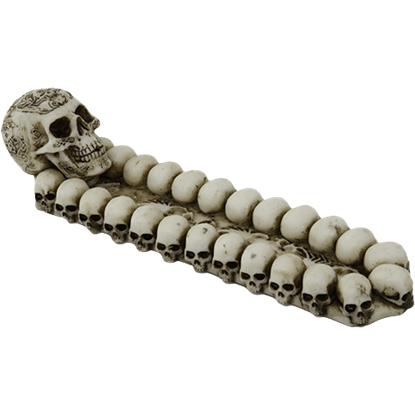 The Catacombs Incense Burner features a decorated skull at one end. 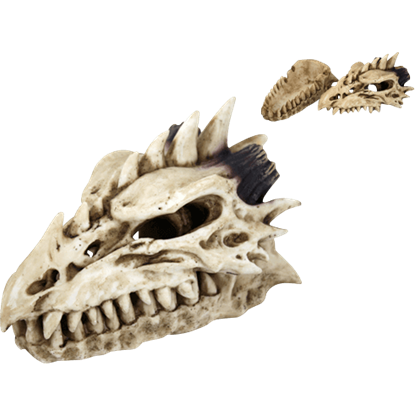 Due to their long lives, few have ever been lucky enough to discover the remains of a fierce dragon. 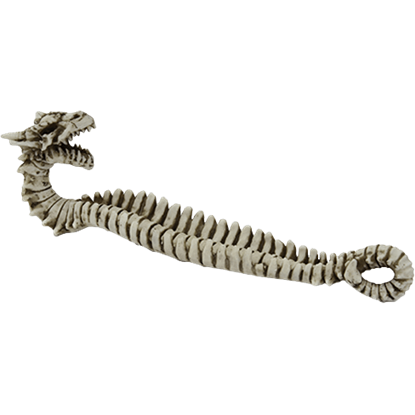 The Dragon Skeleton Incense Burner lets you become one of those people with its detailed piece of fantasy decor. What better way to enjoy burning your favorite scent than from the jaw of a skeleton dragon? 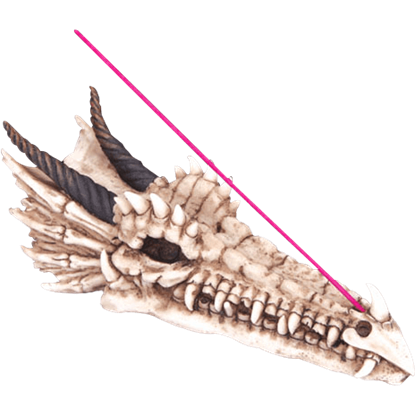 The Dragon Skull Incense Burner lets you do just that, with a slot at the top end of its maw for holding a single stick of incense. Having been attacked in his own lair, the dragon in this Evil Dragon Skull Incense Burner died with a sinister expression on his face. Lucky for you, being able to burn your favorite incense stick is just what he needs to cheer up! 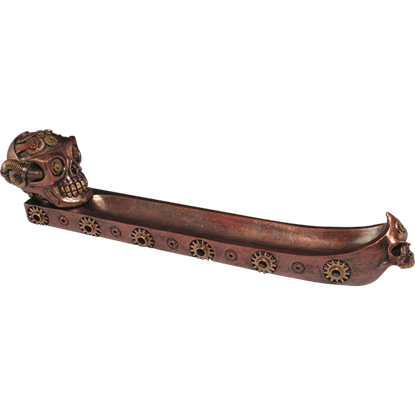 Add a lot of personality and frightening flair to your home decor with this Gothic Skull Backflow Incense Burner. 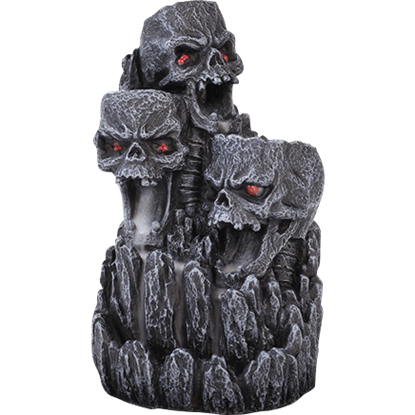 Acting as a statue when it is not in use, once you light an incense cone this burner depicts smoke-breathing skulls! 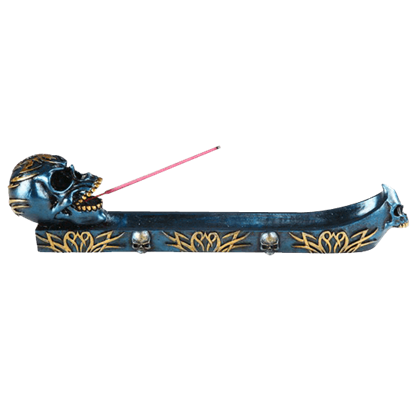 The Grim Reaper Incense Burner is a great piece to add to your gothic themed home. 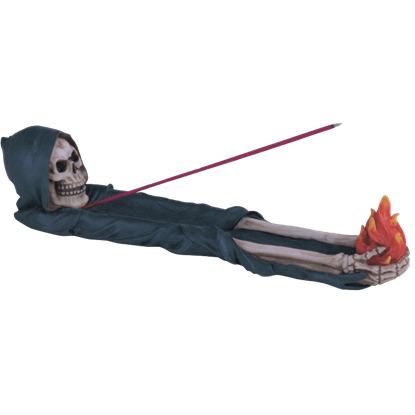 This great incense burner features a skeletal grim reaper in a black robe. His arms are outstretched in front of him holding a ball of flames. Dressed in his long purple robe, this depiction of the Angel of Death shows him cackling as he gathers up the souls of the departed. 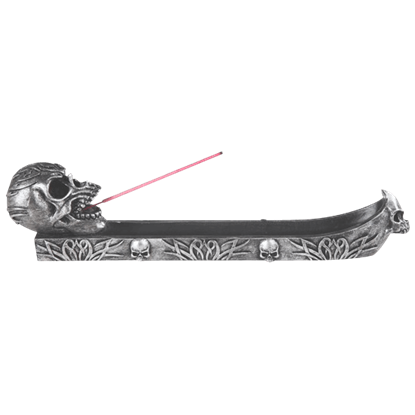 The Grim Reaper Incense Stick Tray supports an incense stick at one end of the long vessel. Though it will not be able to tell you because it is dead, do not worry. 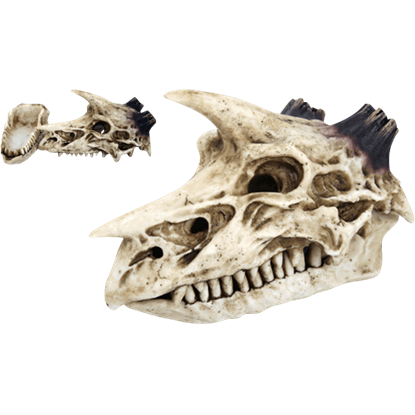 By the look on its face, you can surely tell that this Happy Dragon Skull Incense Burner would be more than pleased to hold your favorite stick of incense! Not all that is dead and gone smells of rot and decay. 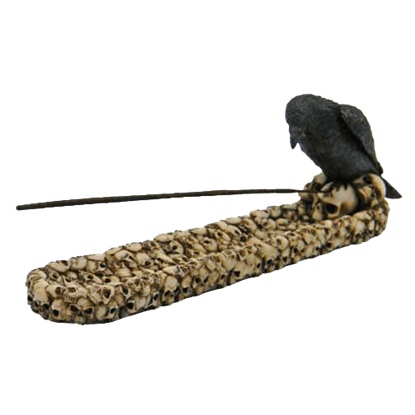 Sometimes, the odor can be quite pleasant, assuming of course that you are smelling the scent of incense, which is easily enjoyed with this Raven on Skulls Incense Burner.